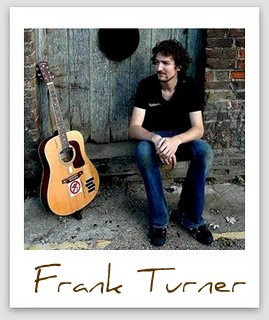 Recently, I discovered Frank Turner whilst listening to Pandora. I've yet to hear a song I've disliked. Sure, there are a few I don't like quite as much as others, but you'll get that with any artist. So, in paying homage to his multitude of great music, I will be posting a song or video every Friday until I run out of favorites. After that, who knows?